Nigerians have taken to the social media to counter the statement made by President Buhari on Wednesday, who accused youths of loving freebies above hard work. Some youths accused the president of passing on the blame as usual, while others gave instances of many youths doing well without government support. They also urged the president to fulfil his campaign promise to create jobs. 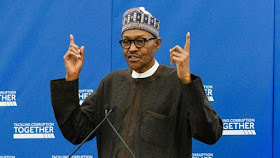 Many youths who reacted to the president's comment via social media said they had thought that Buhari and his party would have stopped their usual game of blaming every other person. They said if Buhari and APC don't get busy and deliver on their promises, the youths will prove to them with their voters card in 2019 that they are not lazy.